If only the best will do. This no-compromise 3 bedroom coastal contemporary is for you! Masterfull attention to detail includes 3.5 bathrooms,over 6,000 total SQFT, hardwood floors, Gourmet Kitchen, Breathless water views from almost every room, 2 zoned ac units,2 on demand hot water heaters,wired for full house propane generator,all kohler fixtures,walk in pantry,humidity controlled 14X31 shop,10X12 storage w/ac, 23X41 screened room w/bath & 10X36 lanai. 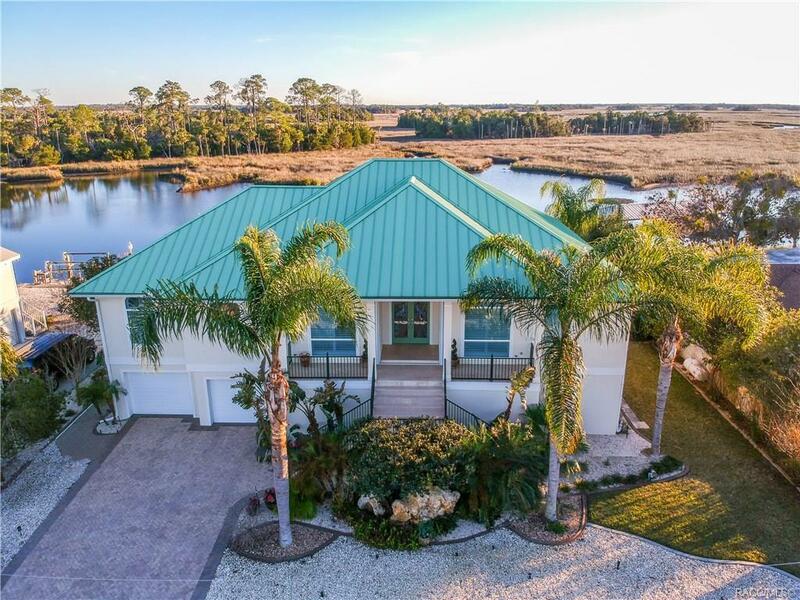 Home comes fully equipped with Hurricane Shutters, an elevator, and boat lift. Open living space perfect for Entertaining. Very elegant as well as very livable. Nature and fishing at it's finest. Directions: 19 S To Rt On Ft Island Trail..left On Dixie Shores Dr To Rt On Bayshore Dr To Home On Left.